Good stories are an essential part of your child’s mental health. But what’s even better than sitting home and reading stories to your kids, is going out in the world and living them together. Fill their wee brains with history, science and geography knowledge as you parade them through new and interesting scenery. The world is your classroom. Show them things they’ll never forget, and make them smarter. Next weekend, why not treat your family to an adventure outing? Explore a mysterious destination, a ghost town or abandon buildings, or even a stretch of rocky coastline. 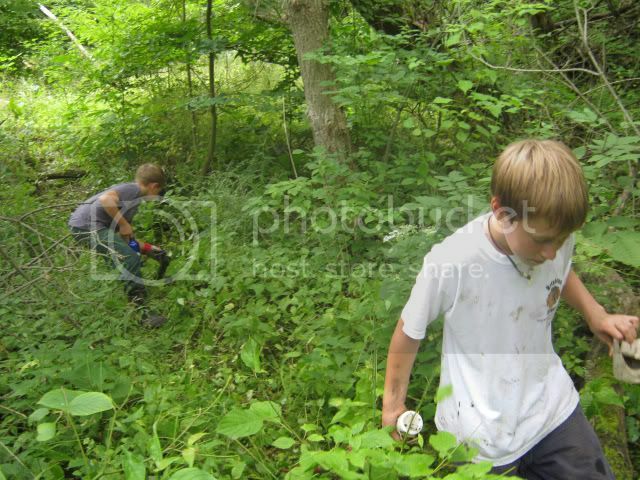 Here are two young boys trudging through an abandon Ontario Canada farmyard on a quest for old glass bottles. With enough eye searching, shovel scratching and finger probing, some good and valuable stuff will probably be discovered. One secret of the Heads-Up Dad is that these treasures can sometimes be sold online, and the profits used to pay for gas, and lunch. 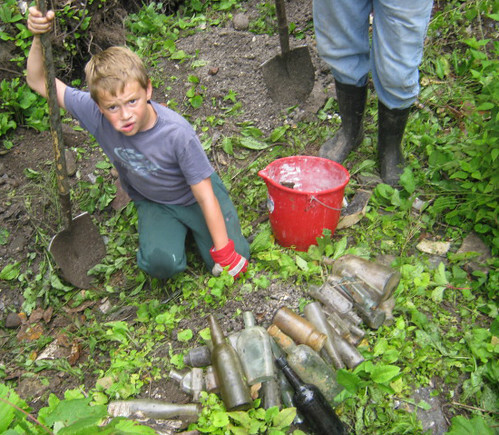 Read about how The Glover Boys Dig Bottles West of Warkworth and then attempt to sell antique glass in the Meyersburg Flea Market. That adventure started with a history lesson, and ended with an advanced course in retail economics, and the art of the deal. Ideas for local adventures include the collection of treasure and a point systems for rewards. Keep the merit system fun and slightly ambiguous. Reward prolific producers less than younger minds, and encourage more reserved prospectors with bigger point totals. When everyone is interested, the game is really fun. 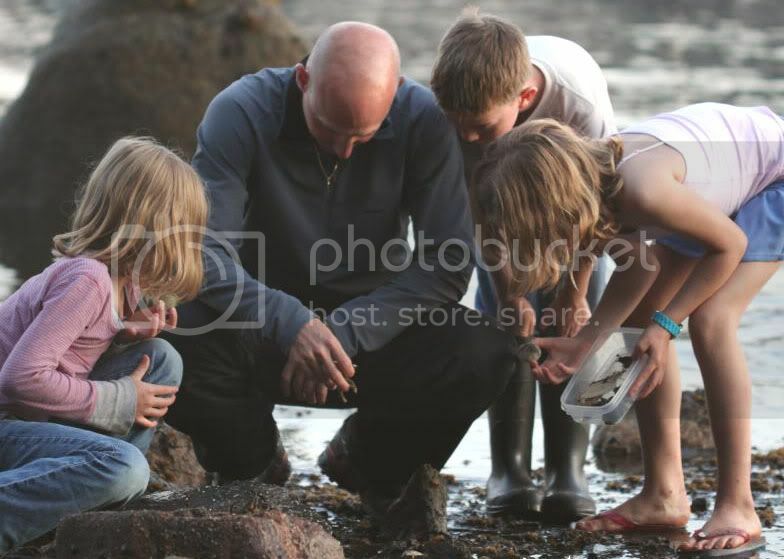 Beach combing – take your children to the beach, but instead of issuing swimwear, give them plastic buckets and send them out to forage for a whole array of interesting items. Seashells, driftwood and old fishing tackle is sometimes valuable, as are bits of brown, green, blue and red beach glass. Keep the girls interested by planning a jewelry making day – the best sea glass is smooth and can be polished at home and added to an aluminum foil crown, necklace, rings and pendants. Fossil hunting – Kids love dinosaurs but usually have trouble understanding how their skeletons end up preserved inside rocks. So take them spelunking and search old gravel pits and dry river beds for specimens. Issue them tiny rock hammers and knapsacks. Show them what fossils look like using a Field Guide or other reference material and issue instant rewards for anything decent. Instructions should also include the search for pretty rocks, crystals and mineral samples they might encounter. Geocaching – This is a great way to see the countryside and almost always gives participants the thrill of finding hidden treasure. Armed only with a portable GPS device and good shoes, the whole family can be readily engaged looking for the cache. For more information check the website, Geocaching.com or read about the Hissa Family Goecaching for Collectible Coins on Lake of the Woods. If you have older kids, give them their own GPS devices and make it a competition to see who can find the cache first, parents or children. Photo Safari – without a doubt the easist and most satisfying way to explore any destination is to give kids cameras and tell them that they are required to submit ten pictures each to a common slide show on a specific theme. This is a great way to record the adventure, and create lasting memories. I love this idea. What a great post. As a kid I always loved hunting for treasure. I never thought about the prospect of selling my discovered treasure, but given how easy it might be to make a few extra bucks, who needs a paper route, or to cut grass or shovel snow anymore. I will be sure to plan a treasure hunt on our next boys adventure weekend up on the shores of Georgian Bay! Thanks for the great post. I’ll be sure to keep an eye out for more of the same. Previous post: Please sign up for the HeadsUp Dad mailing list!